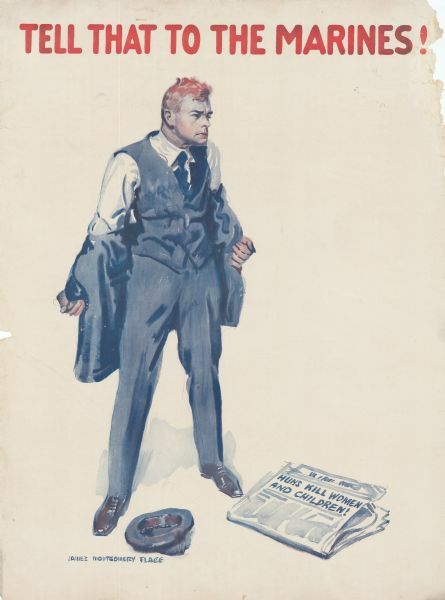 Poster featuring an illustration of a man with a fierce look on his face while taking off his suit coat. His hat is on the ground near a newspaper with the headline: "Huns Kill Women and Children!" Illustration signed by James Montgomery Flagg.